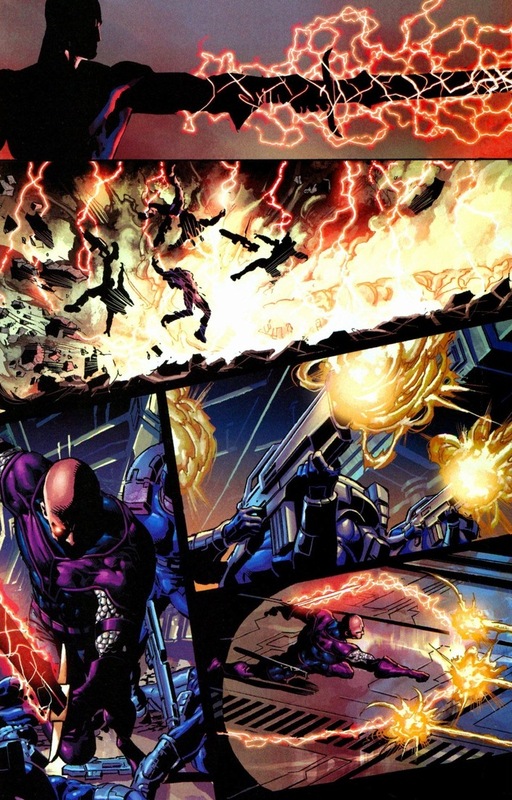 A week ago, we touched on the Thunderbolts battle against Jack Flag. Super cool fight. As I continued to read the series, I found the next arc absolutely amazing. And we’re going to check out a few fights from it. 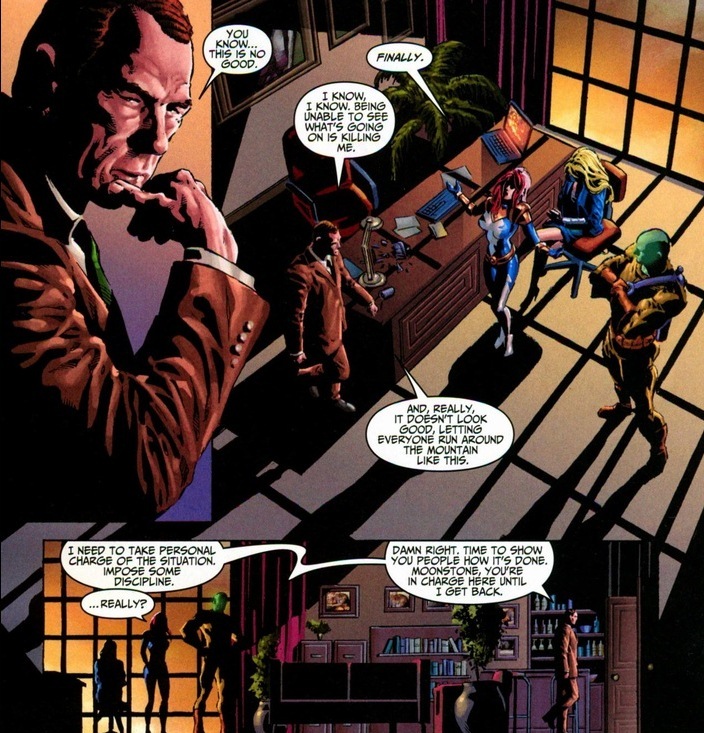 So, Norman Osborn, Spider-Man’s arch-nemesis and scheming jerk, gained control of the government’s supervillain reformation program the Thunderbolts after convincing SHIELD director Tony Stark that he wanted redemption and a heavy supply of bipolar medication. Of course, he still plans to betray everyone and grab power and blah blah blah. Supervillains never change. 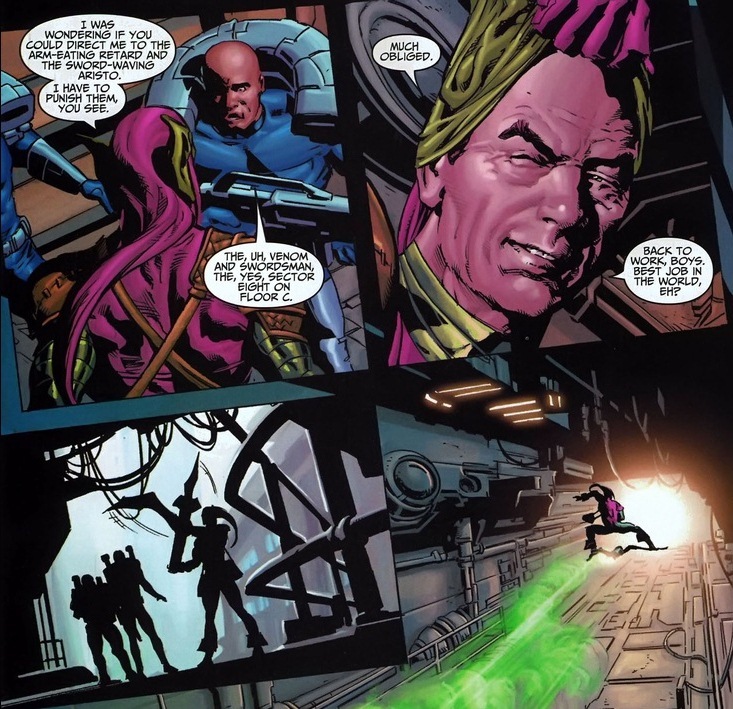 One of the recruits for the Thunderbolts team happens to be Andreas von Strucker, the current Swordsman. Why should you care? I’ll tell you, don’t be rude. 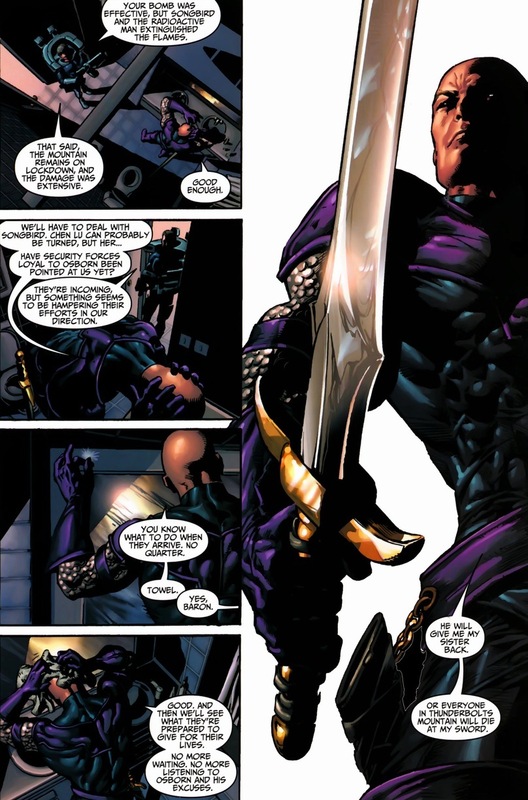 Swordsman’s the son of Baron Strucker, the World War II evil Nazi maniac that founded HYDRA, one of the two major terrorist organizations that pop up all the time in comics (the other’s AIM). Andreas’ father, being a bad guy, experimented on the womb of the mother of his twin children, giving them magic powers or something. Now Swordsman can shoot electricity out of his sword, as long as he’s touching his sister. One problem. Sister’s dead. In a super creepy move, Andreas flayed his sister’s skin and wrapped it around his sword so his special powers still activate. Gross. 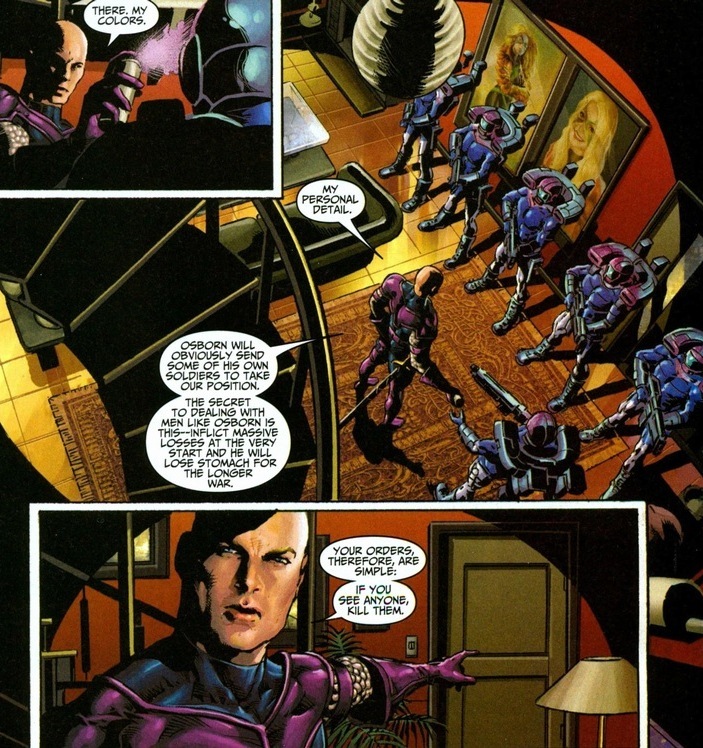 Anyway, by joining the Thunderbolts, Osborn promised to clone his sister and reunite the happy family. One more problem. Swordsman has waited far too long and his patience has given out. You know what that means: mutiny on the helicarrier! 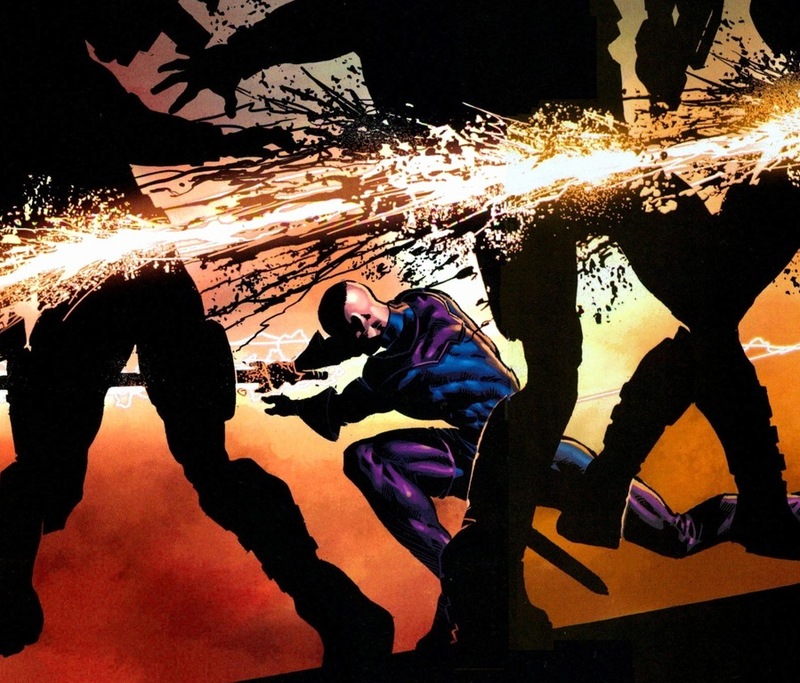 Get ready for three battles and a monologue from Thunderbolts #116-121, written by Warren Ellis and drawn by Mike Deodato Jr.
Yeah, he’s royalty, but truly, he’s just a dude with a sword and minor twin powers. 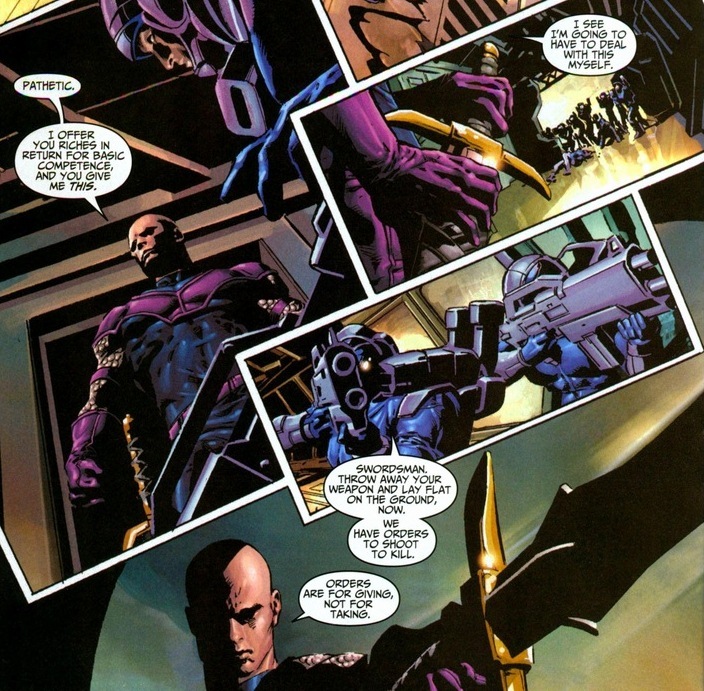 For you naysayers, Hawkeye has zero powers and his superheroic accomplishments would take thousands of words. Plus, I’m about to prove his stuff to you. Unfortunately for groups of nameless henchmen, either good or bad, they tend not to live long. Dudes usually serve as methods for the superhero/supervillain to show off their powers or fighting skills. 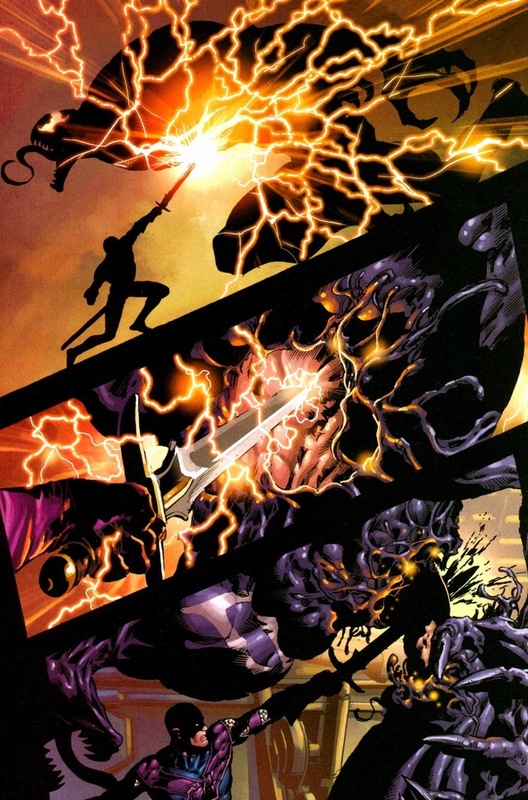 Y’know, so you aren’t wondering why a guy with a sword can mow down the best of the Marvel universe. Because you see, he’s already taken on a dozen dudes at once. 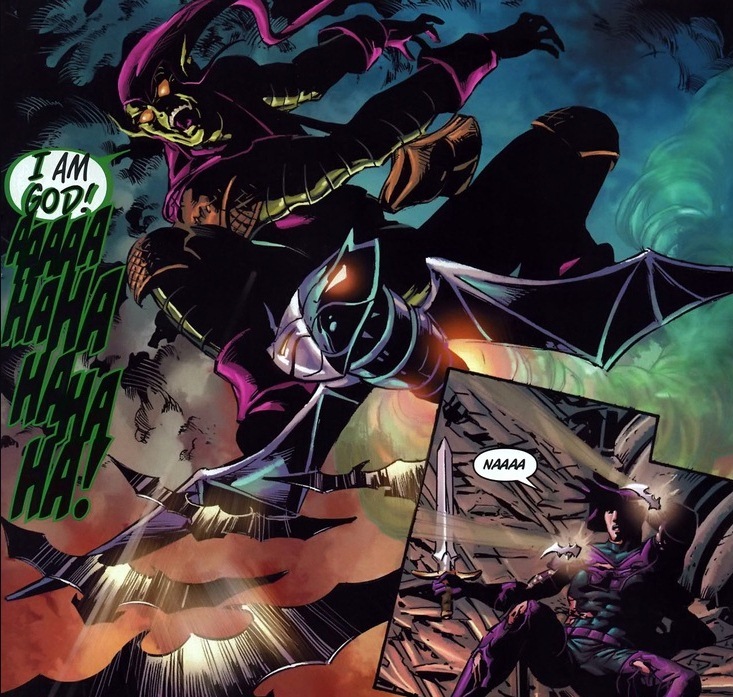 What’s one more big scary supervillain? I guess it depends on the supervillain. Why’s the next image so small? Excuse me while I heap a paragraph of praise on Ellis and Deodato. Essentially, comic books are just another medium to tell a story, like TV, movies, books, etc. 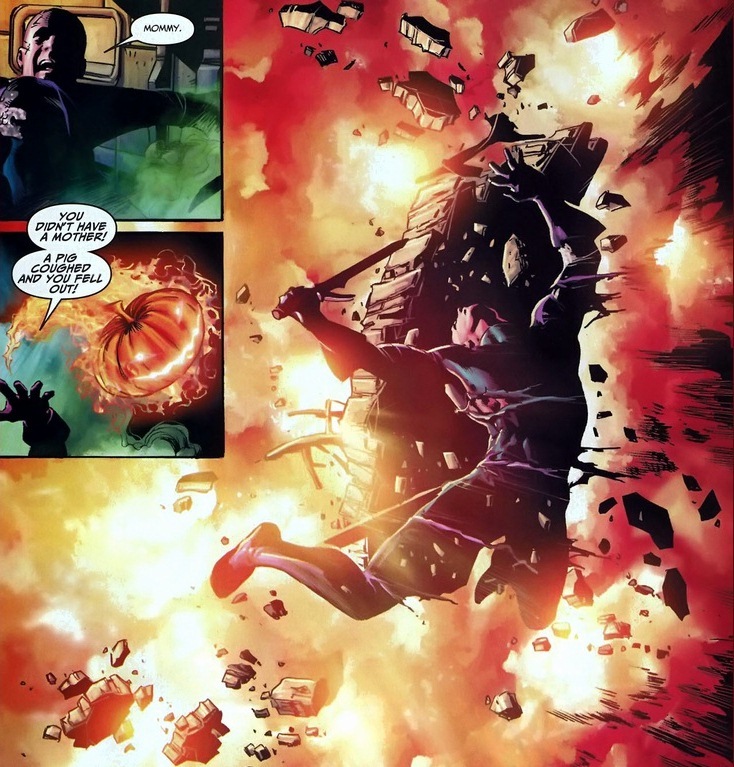 But it’s the next pages that prove how comic books can tell a story in a way that no other form of art can. Please click on the next two images to view the full large versions and see the battle progress in such a manner that other expressive forms don’t have the capability to do. Storytelling as art. Oh, absolutely gorgeous. If I ended my blog here, I’d be satisfied in proving the sheer magnificence of comics. 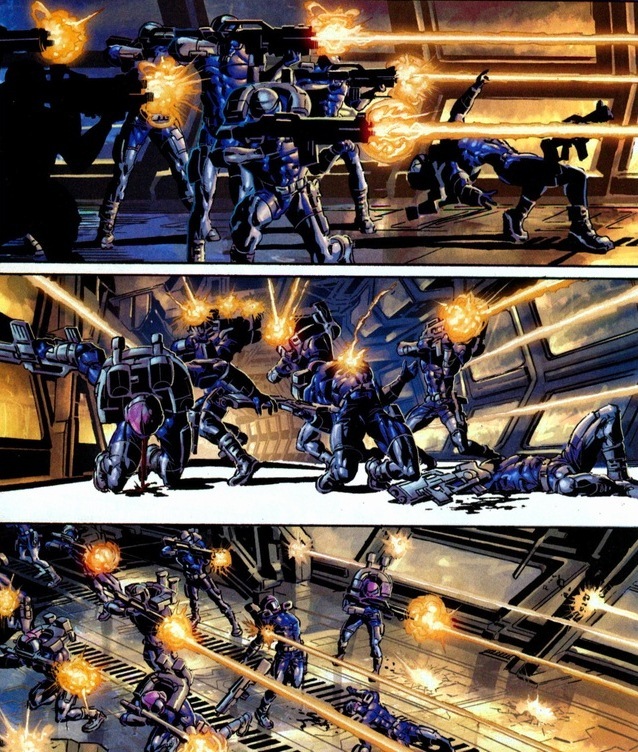 Plus, technology has been kind to this art form, making comics far prettier than the past few decades. As you can tell, Andreas emerges the victor. Gross. What now? 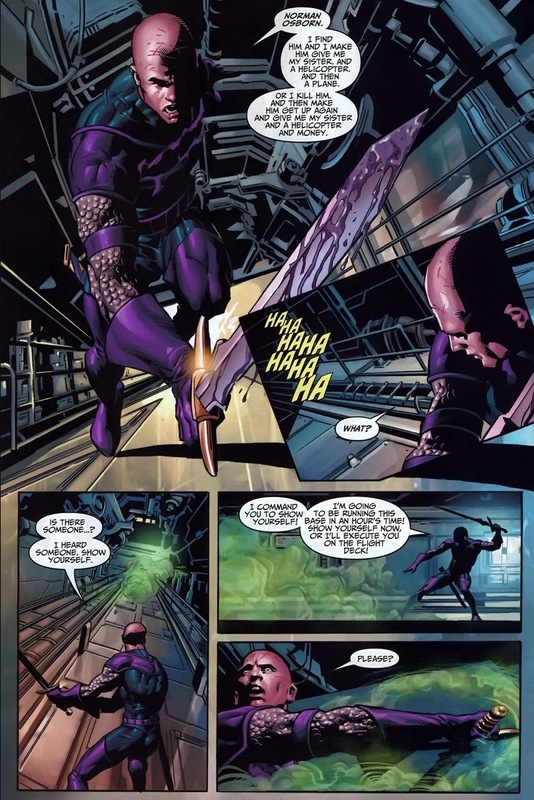 Swordsman easily defeated one of Spider-Man’s toughest foes and Andreas is significantly weaker than the webslinger. 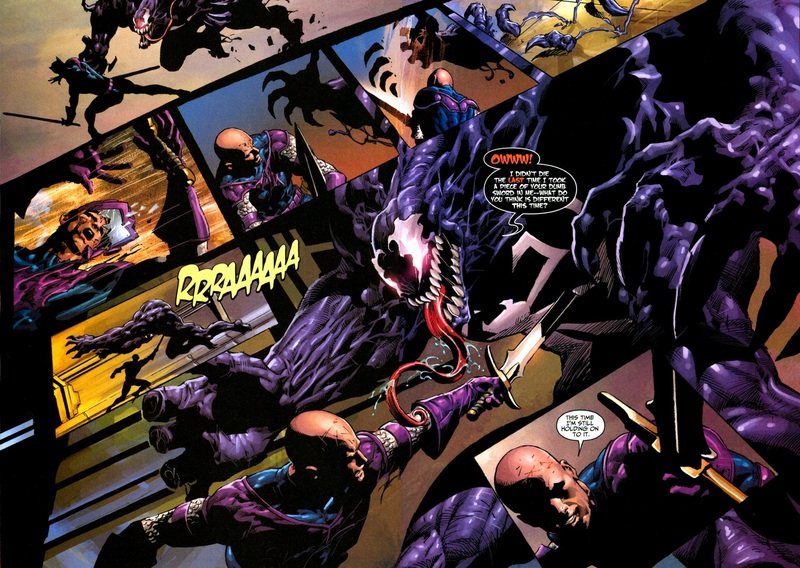 Well, Venom can be dangerous, but he’s not the most dangerous. For Swordsman’s coup to succeed, he has to go through the toughest, scariest, and most dangerous of Spider-Man’s rogue gallery. Rite of passage, I guess. 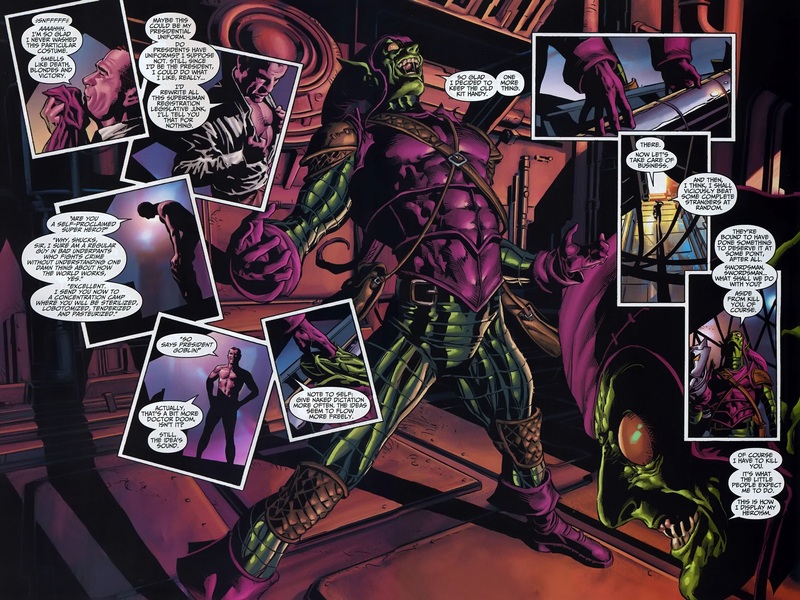 I present to you the absolute best monologue ever given by a supervillain. 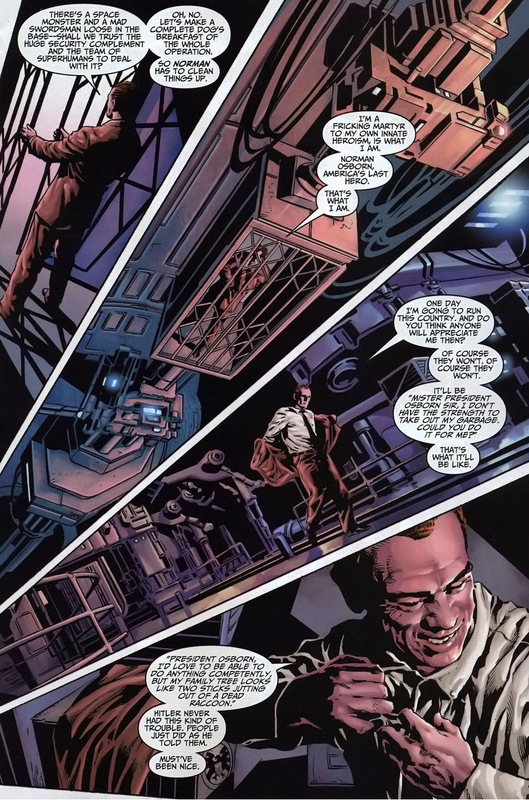 Ellis gives Osborn more character development in the next four pages than he’s been given in years. It’s a gorgeous, insane rant and just a perfect characterization of the craziest man in the entire good ol’ USA. Once again, please click on the next image to view the full large version. It’s worth it. 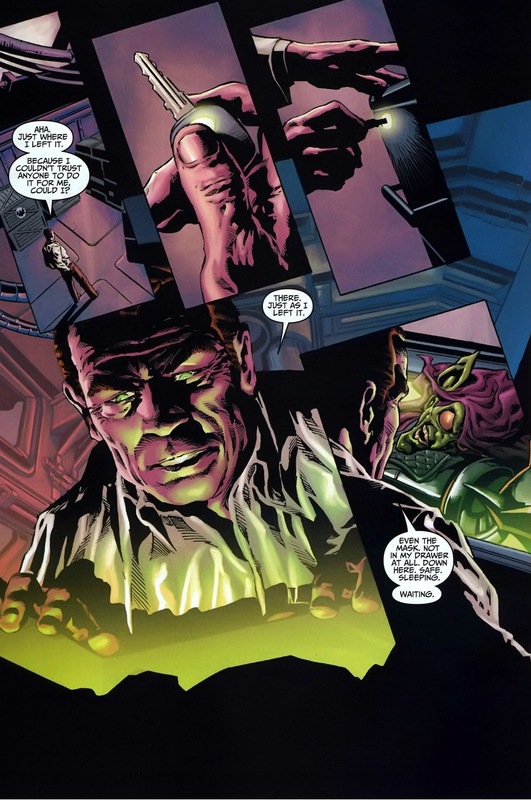 I dunno if you figured it out yet, probably my complete lack of explanation not helping, but Osborn’s not supposed to be dressing up as his evildoer alter ego. Negates that whole redemption thing. Still, sometimes you have to pull out the big guns to take down a threat. The title fight, ladies and gentlemen! Let’s not delay with weak jokes and unnecessary explanations! Want to see the face of crazy? Darn tootin’ you do. Swordsman, surprised by his quickly approaching foe, gives the appropriate response. Pumpkin grenades! 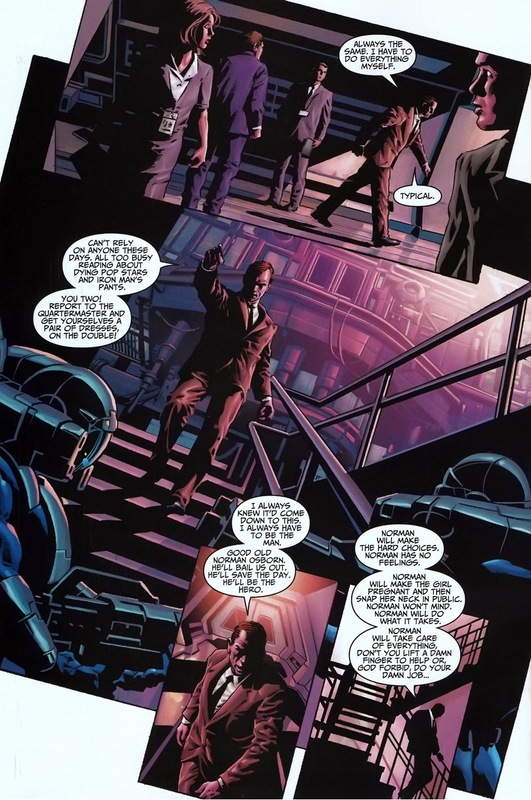 People forget that Osborn’s one of the smartest people in the world, most likely on level with Hank Pym and Tony Stark. His technology has advanced accordingly. Too bad he’s an insane psychopath. Battle definitely over. 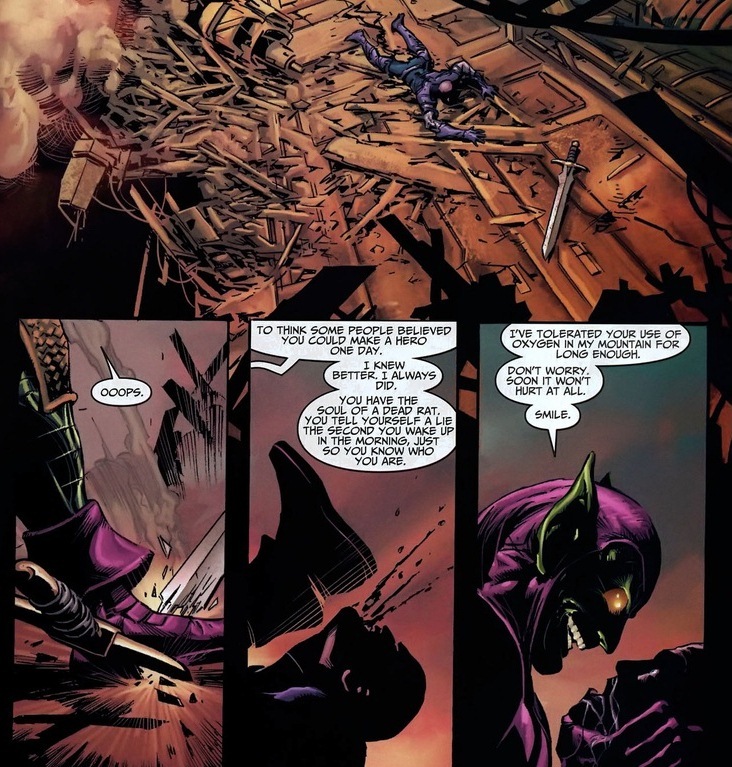 Green Goblin wins the belt. Normally in this situation, most government agents would arrest Swordsman or have guards take him away. Not Osborn. 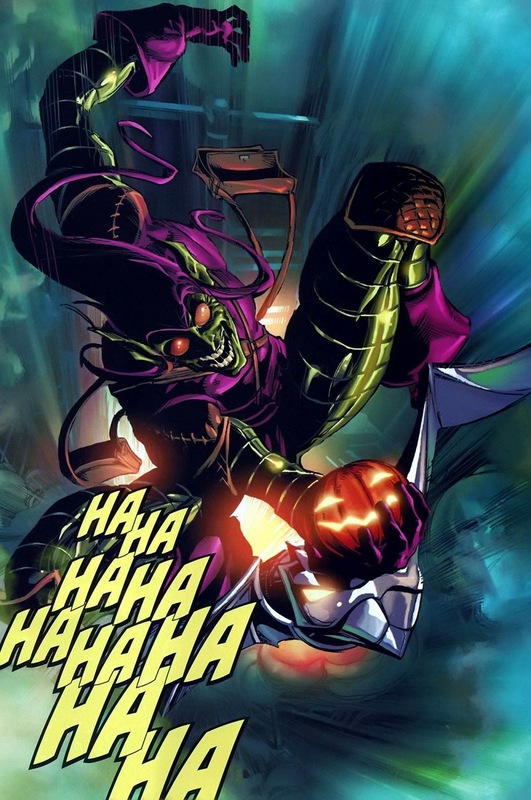 Supervillains can be so petty and cruel sometimes. And his punishment for betrayal? 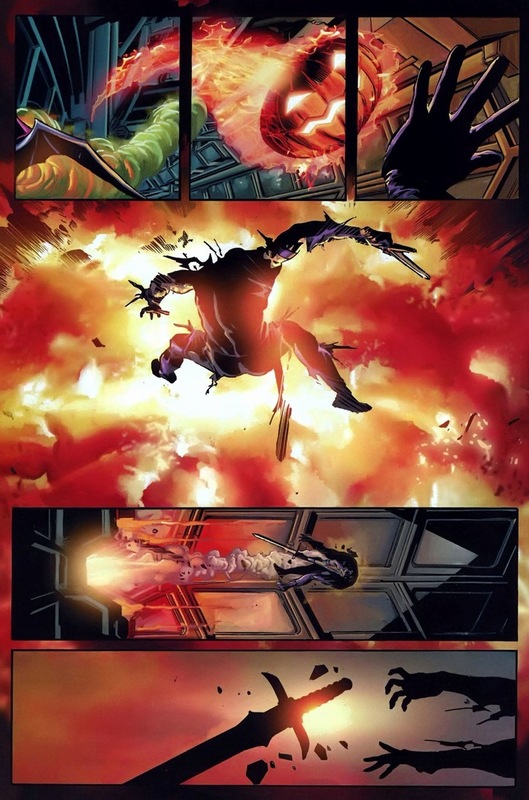 All I’m saying is Nick Fury wouldn’t crucify a teammate. 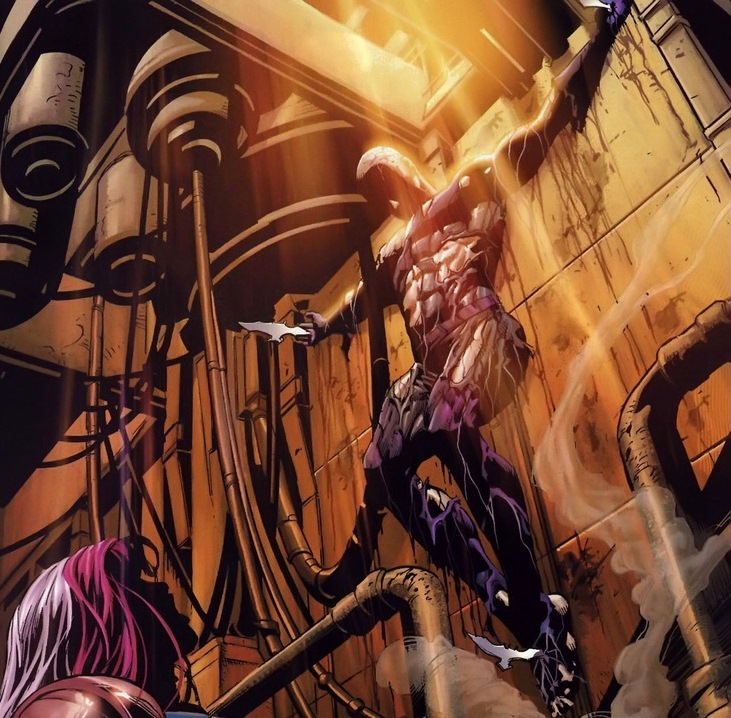 Anyway, as Green Goblin continues to rampage throughout the helicarrier, Songbird has to face him alone to save everyone aboard. A super awesome fight, but you’ll have to read the book for that rumble. 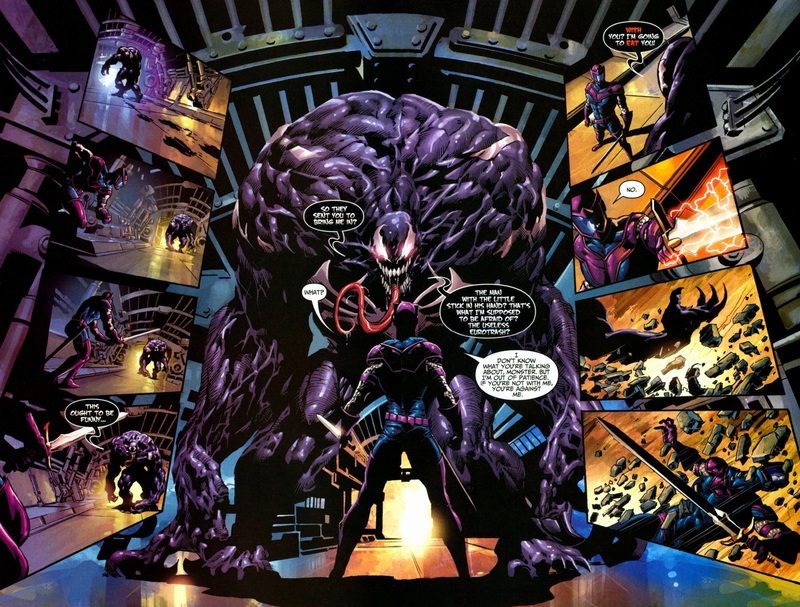 In summary, if you ever wonder how a mentally ill man in his mid-50s classifies as one of the top baddies in the Marvel universe, reference this arc.